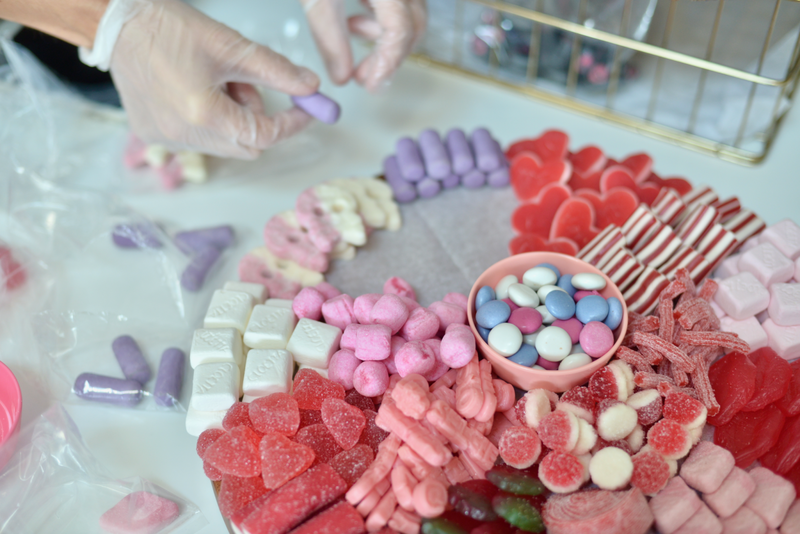 I knew about Florence Baras&apos;s love of candy before I&apos;d ever met her. In 2014, I went to her and her husband&apos;s all-natural Scandinavian candy store, Sockerbit, and immediately became so excited G captured this superstar pose of pure joy. 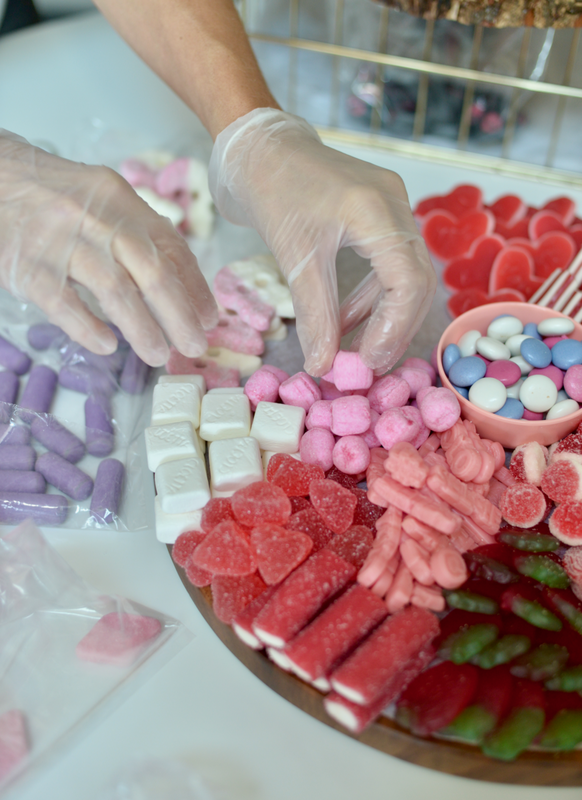 The candy was laid out so irresistibly, with rainbow hues against a minimalist white wall. I left that day with multiple bags of sour skulls, strawberries, and black licorice. Since then, I&apos;ve returned countless times (it happens to be next door to one of our favorite Mexican restaurants, making it the ideal dessert), and we even carry them on the Shop and featured them at our Ten Year Anniversary Party. But it wasn&apos;t until I came across a photo on Instagram of her new &apos;candy charcuterie board&apos; that I had the exact same reaction I did four years ago. 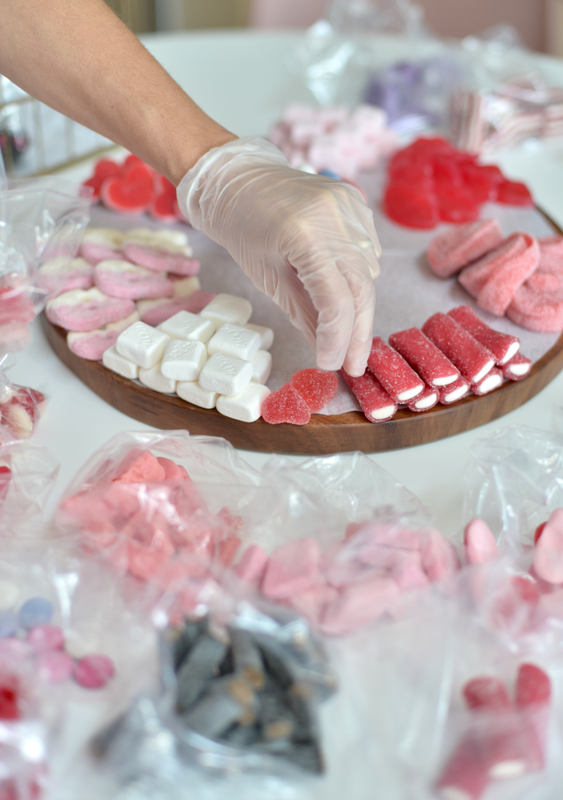 Similar to her stores, her boards feature candy in a way that&apos;s instantly appealing, and impossible not to love. 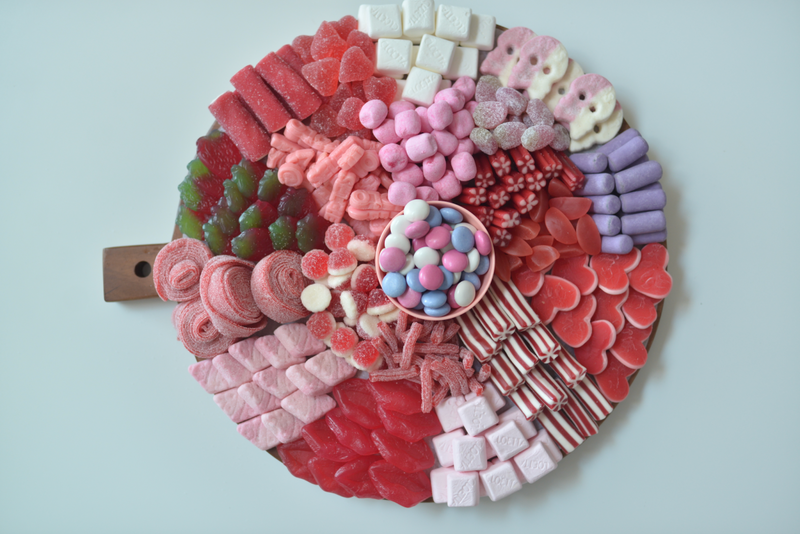 While Florence prefers a rectangular board for cheese ("Our ideal dinner is a cheese board," she said), she prefers a round option for a candy board—the symmetry makes the candy look even better. For this tutorial, we used an option from Sur La Table, but Florence uses an affordable bamboo board similar to this one in her shop so that customers can keep it afterwards. 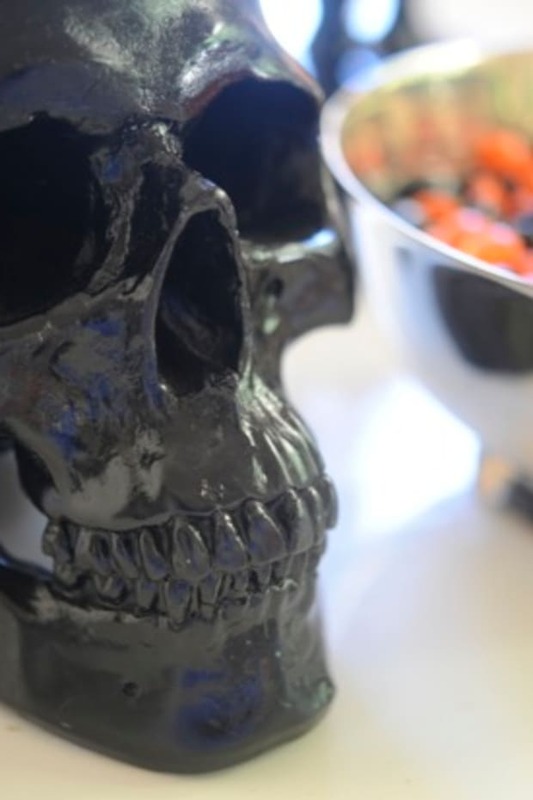 We initially floated around several ideas for the theme of the candy board—rainbow, pinks and blacks (I love black licorice), or even black and orange for Halloween. While there&apos;s no wrong answer, we ultimately landed on one of my favorite color combinations, pinks and reds, which look just as appealing, but are a more subtle nod to my favorite candy-centric holiday. 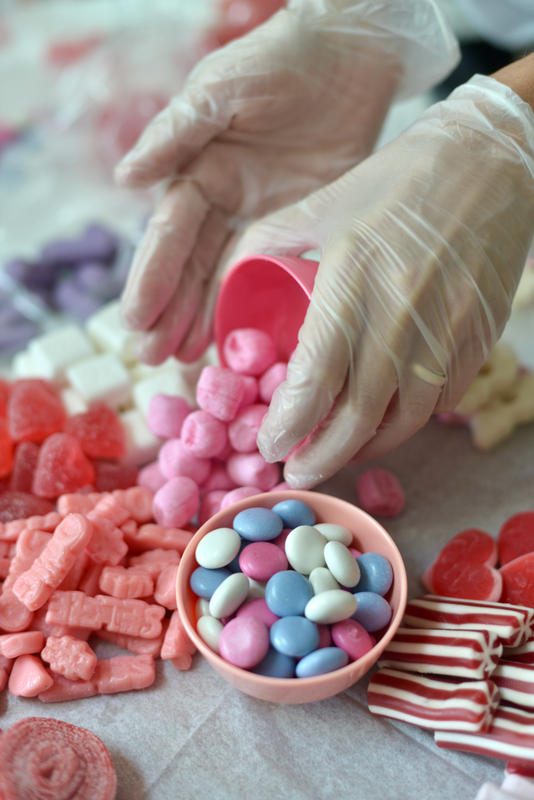 Be sure to choose a variety of 18 to 20 candies, and a solid scoop (about 1 1/2 cups) of each option. 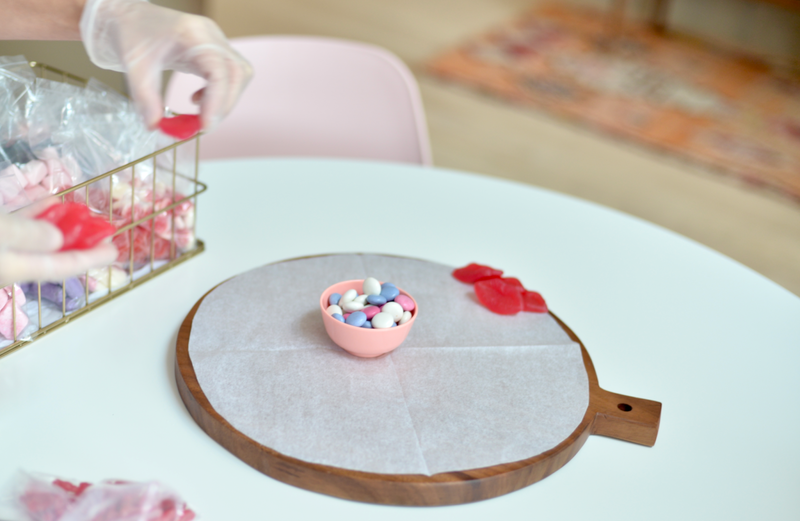 This step isn&apos;t necessary to building a great board, but Florence prefers to use a liner, like wax paper, under the candy. 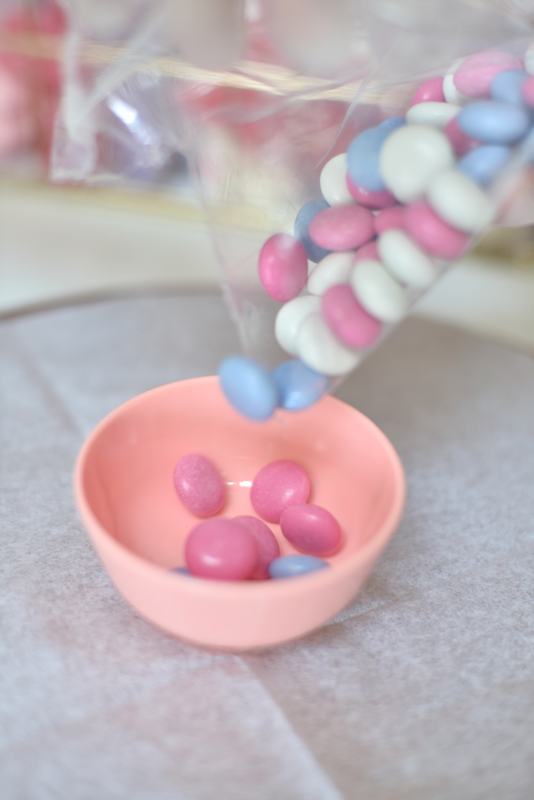 Some candies are stickier than others, and this ensures that your guests will be able to pick them each up easily (especially if you&apos;re using chocolate)—and makes the clean up easier afterwards. 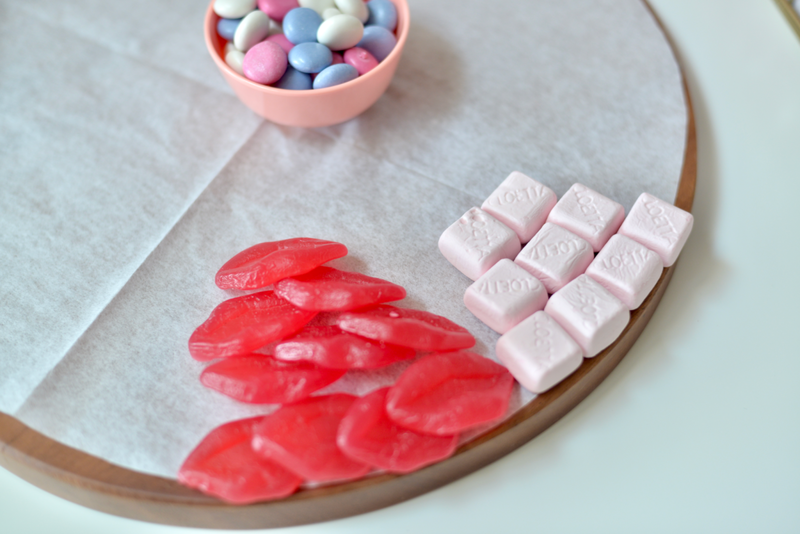 Be sure to cut the paper slightly smaller than the board, so that you can&apos;t see it once the candy&apos;s on top. Begin by placing a small bowl in the middle—it&apos;ll serve as a focal point for the completed board, and as your reference point for the center. 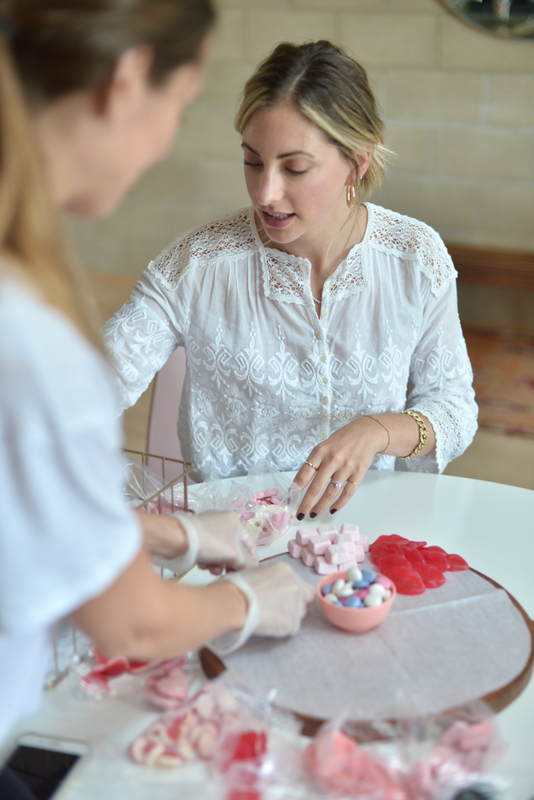 Florence recommends placing smaller, difficult-to-grab pieces in the bowl so that they don&apos;t get lost on the board. In the same way you begin by placing the largest pieces of cheese on a cheese board, set out the largest pieces of candy first. Florence starts at the edges, layering the largest pieces on top of each other like a slice of pizza, working her way in from wide to narrow. 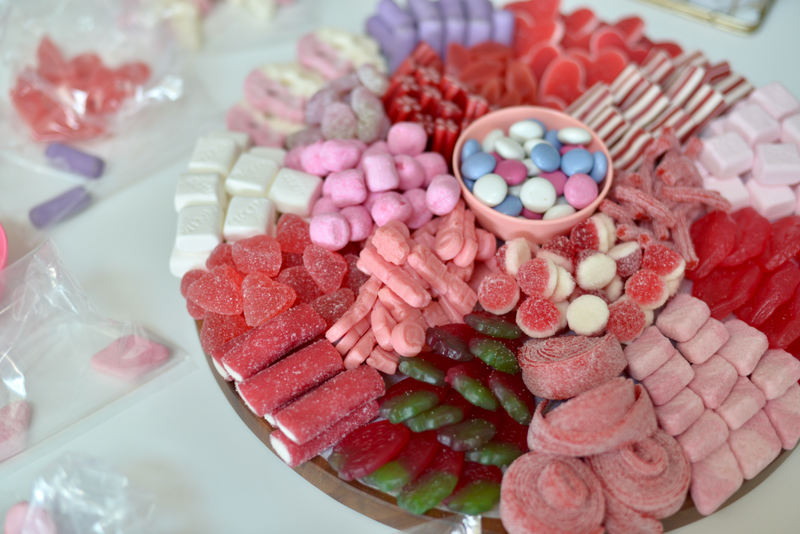 Only go about halfway in towards the center (in other words, don&apos;t complete the pizza slice), so that you can add a second layer of candy in the &apos;inner ring&apos; for more variety—and more options! 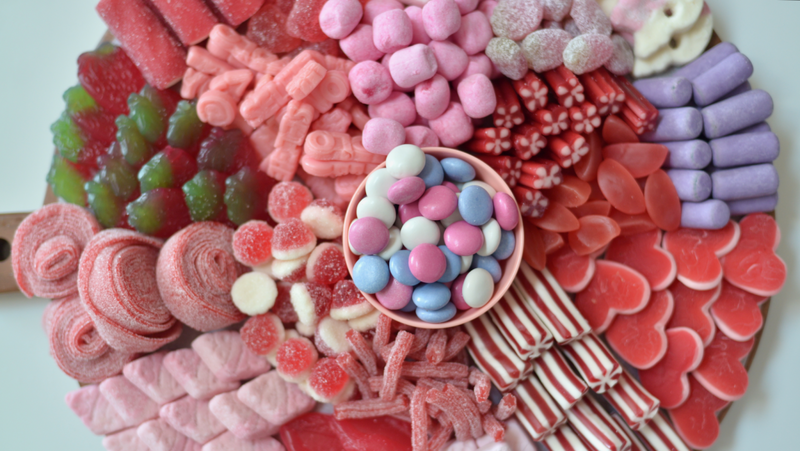 As you place the candies, be sure to alternate by color and flavor, i.e. 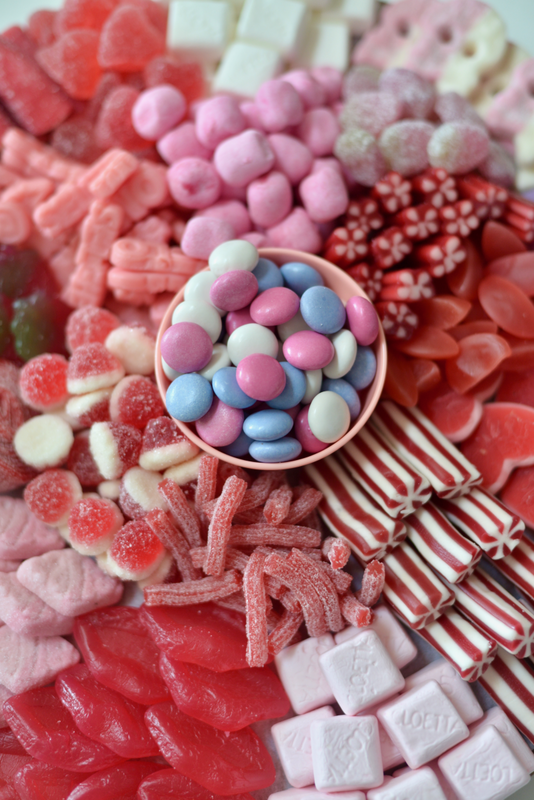 place sour and sugar-coated candies next to gummies to make the textures of overall board richer. "I&apos;m a person who eats first with my eyes," Florence said, "so if it doesn&apos;t look good, I won&apos;t be as inclined to eat it." 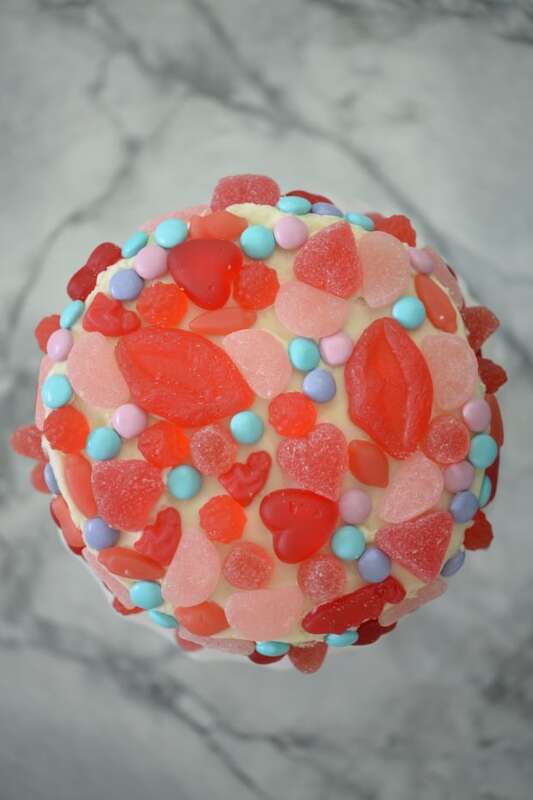 Once you&apos;ve layered all of the larger pieces, fill in any blank spots with smaller pieces of candy (the same way you would with almonds on a cheese board). 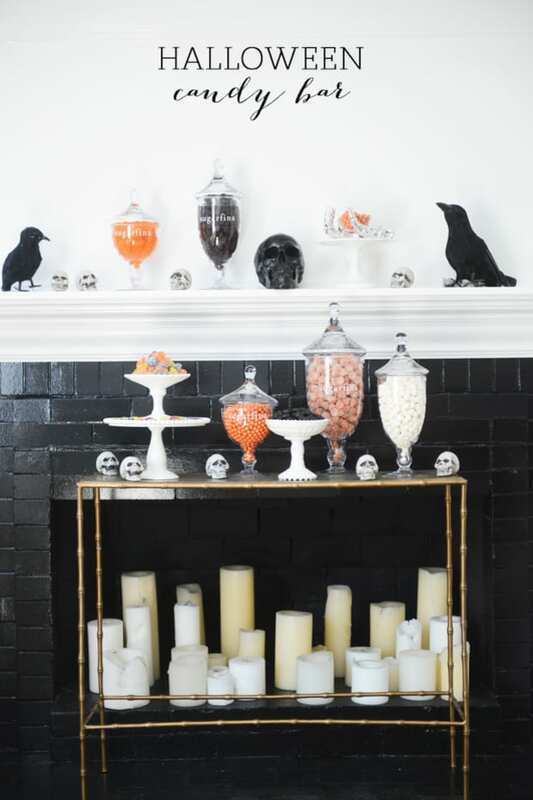 Add a few more pieces anywhere the board looks sparse—the idea is to have it filled to the brim with candy—then serve! 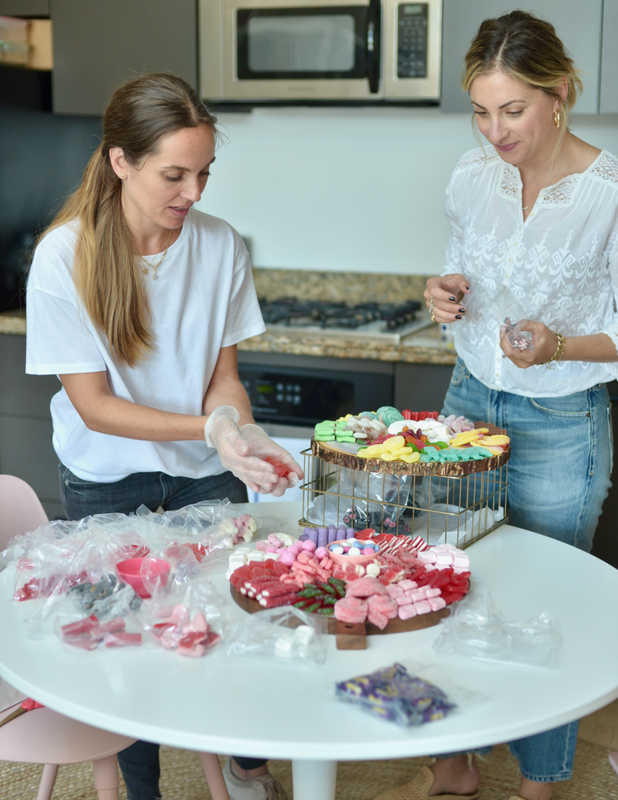 P.S., We&apos;re giving away everything you need to make a Sockerbit candy board, over on @shopcupcakesandcashmere today. Enter here!